It’s been quite a while since we last checked in on the ArcheAge class action lawsuit, so I figured we’d go ahead and see if anything has changed over the past few months. First, a recap for those keeping score. Back in what feels like the far flung past of September 2015, two individuals by the names of Aaron Van Fleet and Paul Ovberg launched a lawsuit against Trion Worlds regarding ArcheAge. It’s probably irrelevant to most readers, but noteworthy that they didn’t “launch” a class action lawsuit but filed a lawsuit and are seeking class action status that won’t be ruled on until 2019, just an oversight that a lot of people (including myself) probably haven’t made clear. The plaintiffs were willing to admit under oath that they had purchased the $149.99 collector’s edition of ArcheAge, and are now suing for a myriad of reasons including the infamous 10% discount and allegations that ArcheAge’s lootbox system violates California law on illegal lotteries. In my initial discussion on the lawsuit, I noted my doubts that the lottery claims would hold up and that the plaintiffs might be damaging their case by including their exhibit A (and only exhibit) as 50 pages of random players complaining in the forums about loot boxes. Trion Worlds attempted to have the lawsuit moved to arbitration and lost, appealed their case to the First District Court of Appeals…and also lost there. Then the lawsuit went back to the San Mateo County Court and the plaintiffs were given an opportunity to file an amended complaint. Well they’ve filed their amended complaint and of all that has changed, well, there isn’t much of it. James Longfield has been named as a plaintiff, the screenshots are of much higher quality in the copy available on the court’s website. Apart from one sentence that is changed from present tense to past tense, this is exactly the same complaint, word for word. Nothing outside of the addition of a new plaintiff has been amended in this amended complaint. Trion Worlds has filed a demurer, an objection that questions the validity of the plaintiff’s claims, and unsurprisingly it mostly targets the question of the illegal lottery claim. 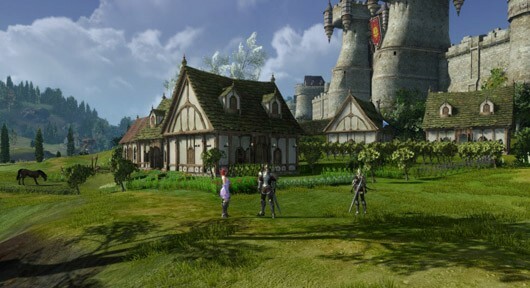 The demurer mostly attacks on the basis that items obtained in ArcheAge have no measurable value, and thus can not be covered by the penal code definition of property. In addition, Trion argues against the idea that the plaintiffs can claim that they lost money or property, as they exchanged real money for digital goods and received exactly what they paid for. Finally they attacked the lottery on the same merits that I did, that the plaintiffs didn’t really bother staking a claim on the rules of the penal code or how Trion even allegedly violated them. Notably absent from Trion’s demurer is commentary in relation to whether or not the 10% discount offer change constituted misleading advertising, but presumably the demurer is to carve up the lawsuit and get rid of the extra fat so that the main points of contention can be handled either during the trial phase or in a supplementary demurer. Considering this lawsuit has now gone on for three years and has rulings and applications for various statuses dated for early to mid 2019, I’m sure Trion is just trying to bring this closer to some kind of resolution. I have included a link to the docket down below, thankfully San Mateo’s county court allows you to view their dockets at no cost. MMO Fallout will continue covering this lawsuit when any noteworthy events happen.